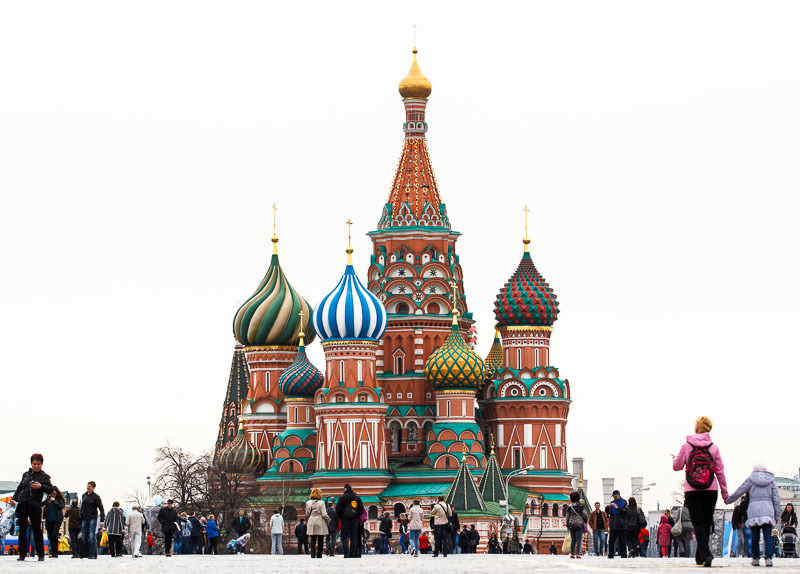 The bold and bright colours of Saint Basil’s Cathedral stand out against a grey Moscow sky. A unique asymmetrical masterpiece, the nine churches were constructed in 1555-61 and are unlike any other architecture in all of Russian history. Confiscated and secularised by the state in the early 20th century, St Basil’s Cathedral is today a World Heritage site and a dazzling reminder of Russia’s long Christian history. Russia has the largest land mass of any country spanning one-eighth of the Earth’s inhabited land area. It shares borders with other nations as diverse as Norway, Estonia, Ukraine, Georgia, Kazakhstan, China, Mongolia and North Korea. It should be no surprise then that Russia enjoys 138 distinct language communities. Bible translation projects are underway in several languages; however, there are still 45 people groups in Russia without any translated Scripture. Click here to read prayer requests from teams working in Russia.